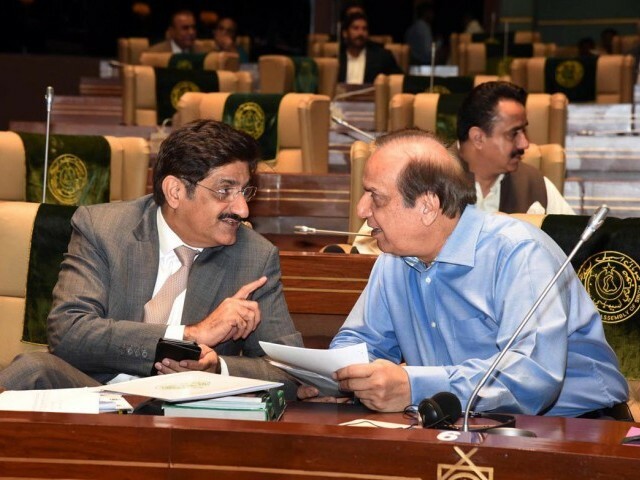 KARACHI: Opposition lawmakers in the Sindh Assembly decried the deteriorating health and education standard in the province and demanded accountability of billions of rupees spent on various projects that have not yielded results. 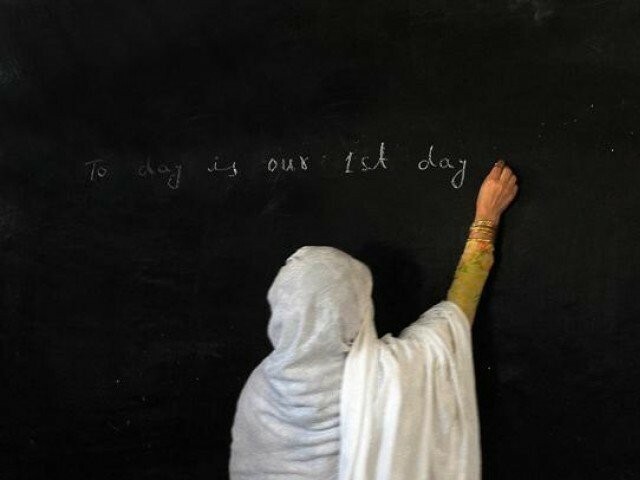 During the budget discussion on Thursday, MPAs from Muttahida Qaumi Movement (MQM) and Pakistan Muslim League – Functional (PML-F) drew the house’s attention towards billions of rupees spent in the name of providing high-quality education that has yet to yield results. “Summer vacations have started but many students in Hyderabad division have not received their syllabi yet. Dozens of ghost schools have not been reopened. Hundreds of primary and secondary schools are still deprived of toilet facilities. I fail to understand where this huge amount goes every year,” said Sabir Qaimkhani of the MQM during his budget speech. He added that Sindh is being looted and plundered under the slogan of ‘roti, kapra aur makaan [food, clothing and housing]’. He said that people of Sindh have now awakened and will reject the ruling Pakistan Peoples Party (PPP) in upcoming election. Syed Sardar Ahmed, MQM’s parliamentary leader, said that it is a futile exercise to discuss the budget because the government will not incorporate opposition members’ suggestions in it. “As per the rules, the government has to seek suggestions from opposition parties on the budget but this never happens,” he lamented. 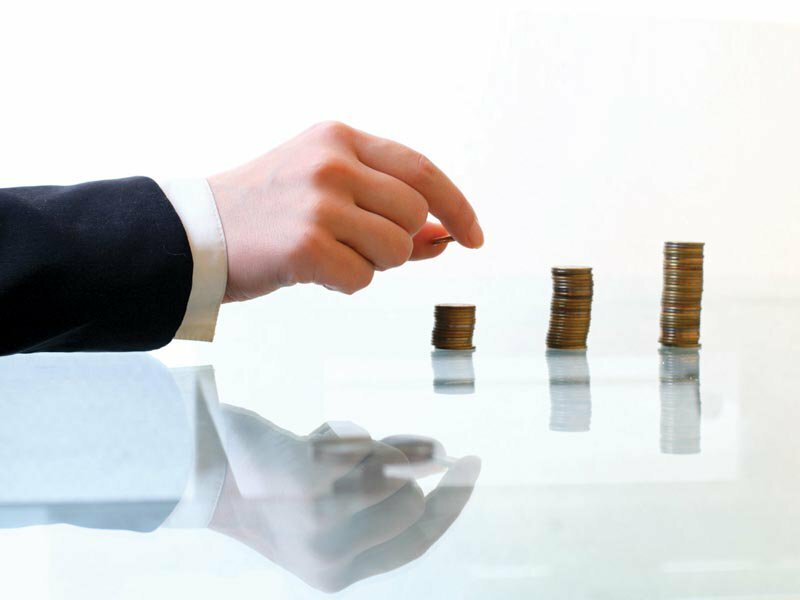 “This is an accounting budget and a jugglery of words. It will not benefit the people,” Ahmed said, adding that huge sums are allocated but utilisation is still a big issue. “The government allocated Rs225 billion as development funds for the fiscal year 2016-17 but unfortunately not a single penny was utilised in nine months,” he claimed, referring to the government’s old practice of spending funds in the last quarter. “You should also hold bureaucrats accountable for this,” he said, suggesting an increase in agriculture tax. Ahmed, who has previously served as the provincial chief secretary, demanded the government allocate a special package for the cities in line with their revenue generation. “Karachi, Sukkur and Hyderabad should be given funds as per their revenue collection,” he remarked. “Please empower the Karachi Water and Sewerage Board to resolve water and sanitation issues in the city. It is not the chief minister and Sindh government’s mandate to life garbage,” he suggested. PML-F MPA Sheharyar Mahar said the government is assigning importance to enhancing corruption in the province. “In the name of democracy, a dictatorship has been imposed in Sindh,” he said, adding that political opponents of the ruling party are being victimised and the incumbent government has broken all past records. “In the last 10 years the Pakistan Peoples Party has not developed any union council or town as a role model with all basic facilities,” Mahar said, adding that even the chief minister misguided the people of Sindh on wind power generation schemes. “They have not produced more than 150 megawatts via their project wind,” he said. Mahar, presenting the pathetic condition of schools and hospitals in Sindh, said, “All is not well”. Saeed Nizamani of PML-F also spoke about the quality of education and inquired how many children of ministers and MPAs are or have been enrolled in government schools. Nizamani, who hails from Sanghar district, requested a Rs1 billion package for his hometown. PPP’s Dr Sohrab Sarki, however, defended his government and said more than Rs70 billion has been allocated for Karachi in this budget and opposition MPAs were creating unnecessary hype over it. “Our government has done a remarkable job,” he praised, adding that Rs250 million has been allocated for his town in Jacobabad district, coupled with Rs400 million for water and sanitation schemes throughout the province. Rehana Leghari and Shamim Mumtaz, both of the PPP, highlighted the role of the Sindh government in establishing a child projection authority in the province. “Not a single district is neglected in terms of development work and the incumbent government has broken all records of development,” lauded Mumtaz. Later, Speaker Agha Siraj Durrani adjourned the session till Friday.